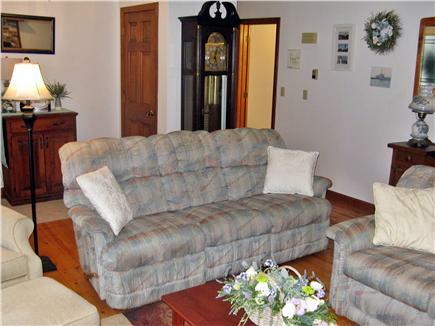 This two bedrooms (with AC), one bath home sleeps four and is located in a very quiet neighborhood within walking distance of the Johnny A. Kelley Recreation Area (basketball, tennis, fitness trail, park). 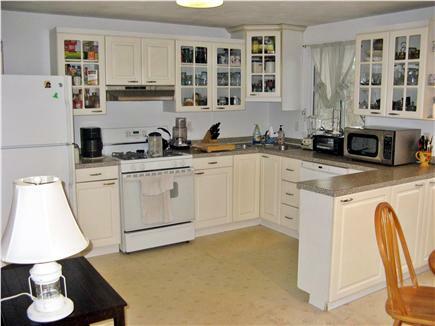 It offers a fully equipped kitchen with a dishwasher and microwave. 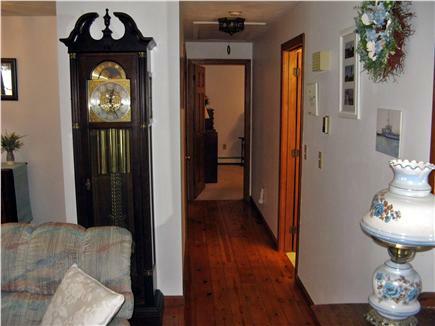 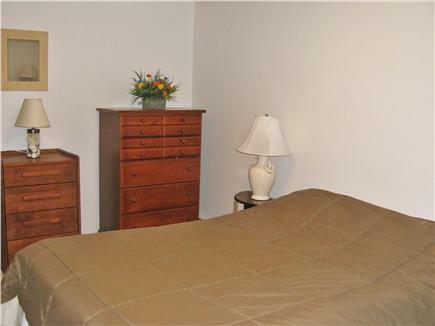 There is a master bedroom with a queen bed and sliding door to a private deck. 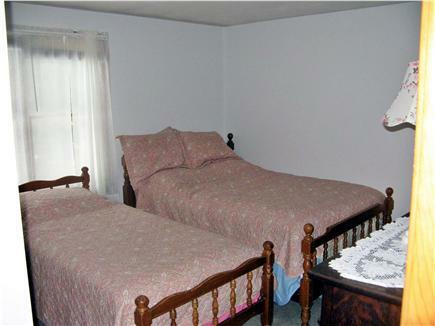 The second bedroom has a twin and a double bed. 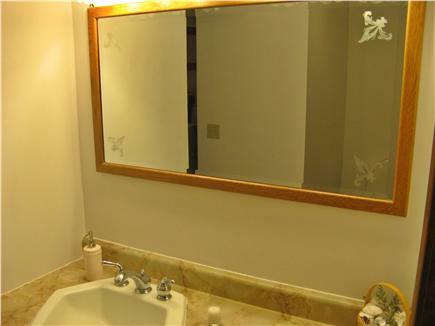 The bathroom is large with full bathtub, washer/dryer and Jacuzzi. 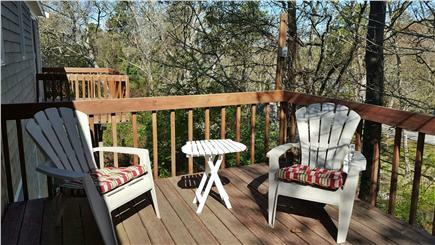 There is a large deck with a BBQ grill, umbrella, and patio furniture and an outdoor shower. 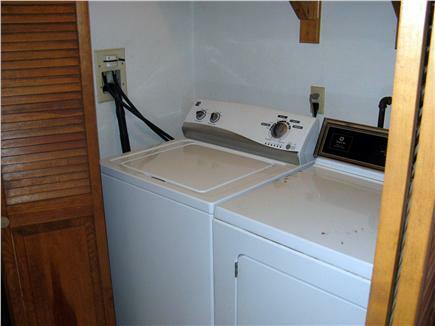 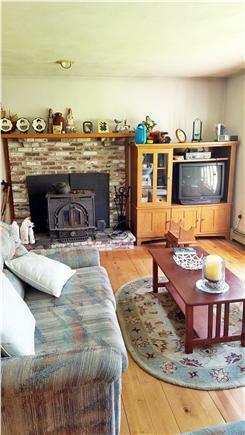 Cable TV, Internet, and linens are all provided. 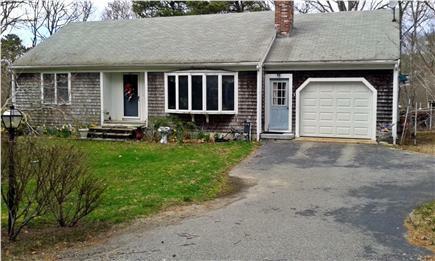 It's just a short walk to a private beach on Follins Bay and 3 miles from Corporation, Chapin, and Mayflower Beaches, and 4 miles from West Dennis Beach.